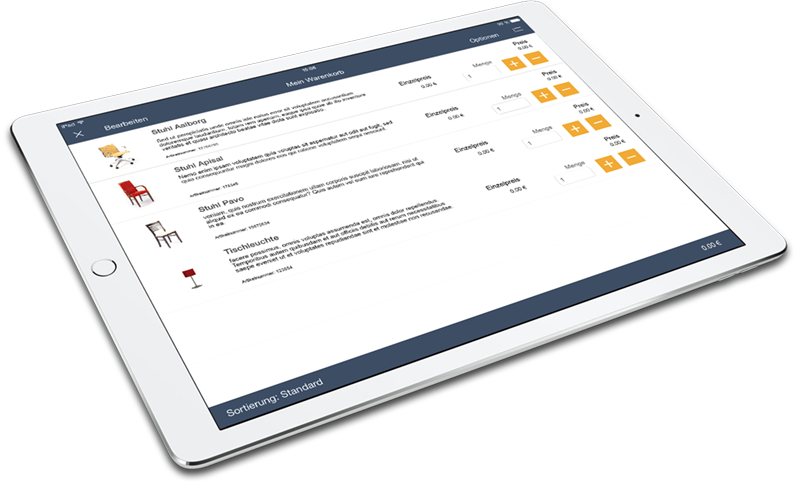 SalesApp2go by advantage apps is a mobile application for tablets designed for your sales staff, external partners and sales support as well as for presentations at trade fairs or other events. 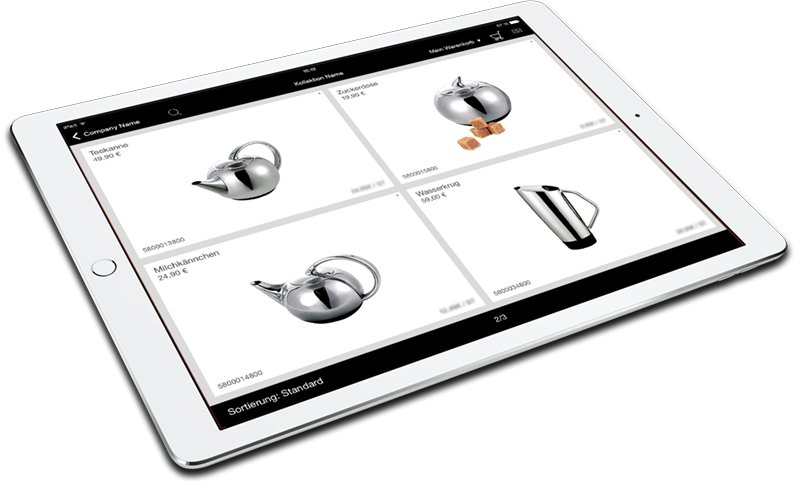 SalesApp2go enables an optimised target-group oriented presentation of your products applying a digital catalogue. SalesApp2go helps boosting your sales results and reduce costs at the same time. Orders can be placed and forwarded on the client site without having to print or ship any documents. SalesApp2go can easily be integrated to Back Office systems (ERP, CRM, Controlling) via existing standard interfaces Customer-specific solutions or functions can be implemented on request. Set up and manage your digital catalogue via a user-friendly backend that is easy to handle. Use tablets (i.e. 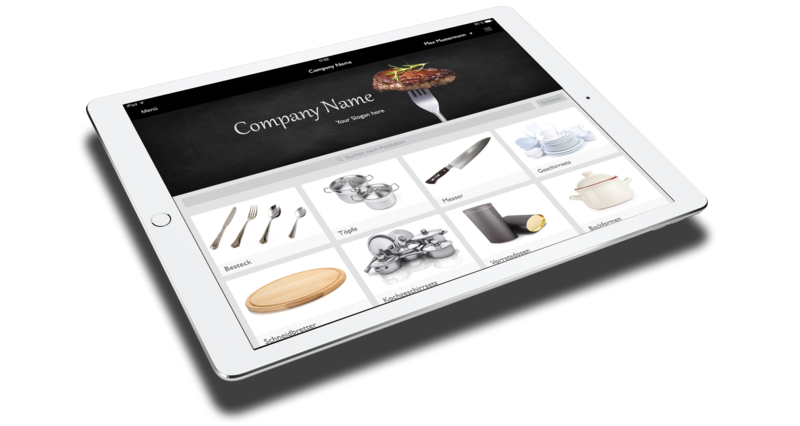 iPad) for a powerful presentation of your products (online and offline)! Market your products and place real-time orders in the app. 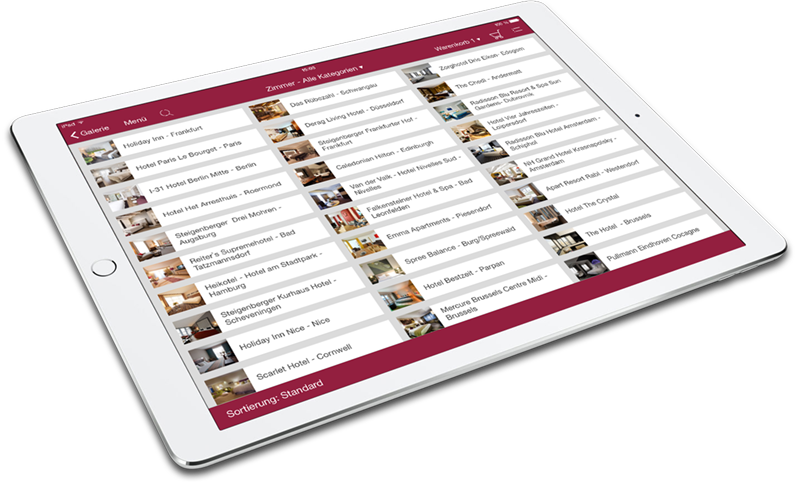 SalesApp2go offers a comprehensive online shop-solution that can easily be integrated with your existing in-house systems. 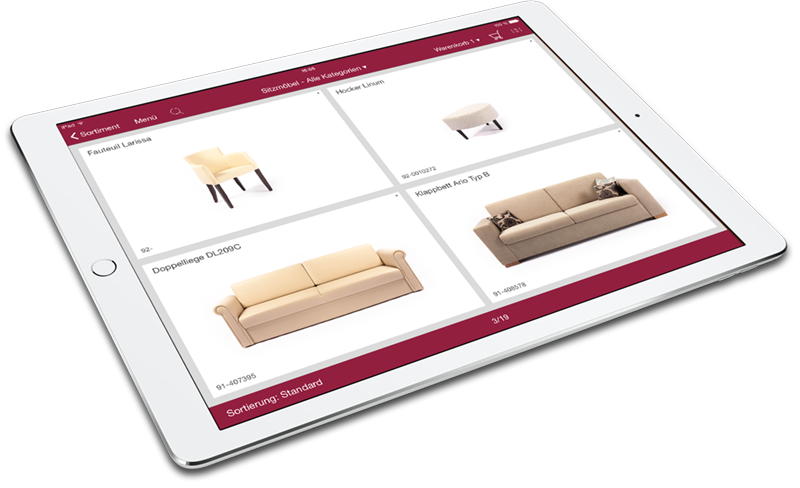 Benefit from mobile access to all sale-relevant data and documents (catalogue, technical documentation, pictures, videos and many more) in the app and distribute them immediately to all target-groups (sales staff, customers, business partners and interested parties). Achieve the best results with SalesApp2go! 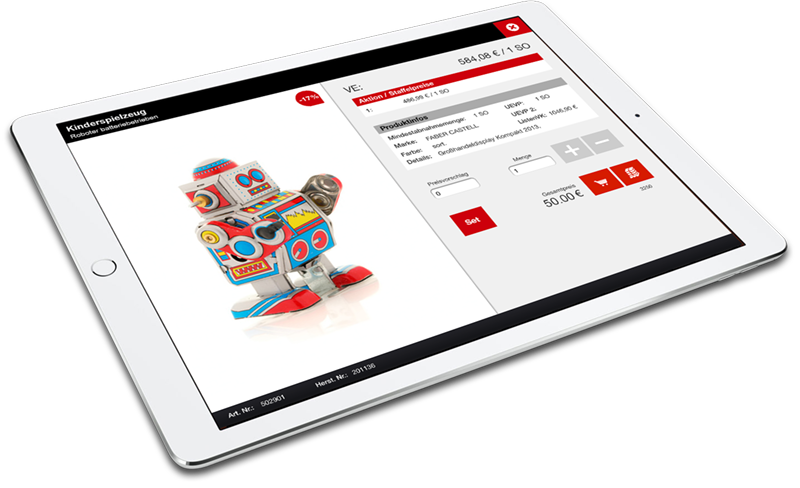 Optimised product presentation applying your individual design in SalesApp2go enables impressive sales results. SalesApp2go is the right tool for each company size and needs due to different service packages that can be enhanced and enlarged by integrating individual functionality. Your complete product range, customer specific offers and all other relevant data are online and offline accessible. Central up-dates ensure accurate information at all places at any time. Your data is protected by state-of-the-art encryption, access restrictions and adaptive user management. User-friendly data management and navigation logic of the App with neat structure of your product range as well as clever search and sort functionalities and many more options to offer. Tailor-made interfaces with all state-of-the-art system providers, ERP and CRM solutions. Improve your sales results by applying complete analyses of customer data, customised proposals and easy handling. No further need of printed catalogues or bulky product samples. Easy administration of user access rights is supported by a central standardised surface. SalesApp2go is the perfect App to support all your sales processes. Your sales staff benefits from the perfect customised presentation of your products (“digital catalogue”) and the direct order facility with an intelligent selection based on each customer’s needs. 24/7 access to current data and online documents with file-sharing facility as well as the integration with the company’s ERP and controlling systems ensure quick and correct sales decisions and accurate up-to-date back office information. 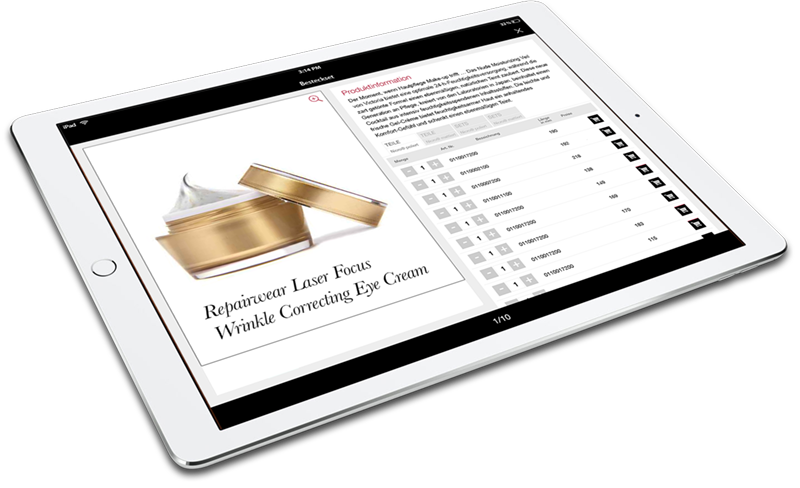 Standard Solution as iPad-App, or on demand for other operating systems.